Surprised no one started one. Let's hear them. I'll just go with one obvious one for now - WE WON THIS TIME. Stupid mistakes that prevent us from being more efficient. Can't really complain about much else. It was more than just Switzer. Hell, not even sure the Browns were aware. If they were aware, they would have grabbed the ball and ran it in for a touchdown. Instead, they pounced on the ball and walked back to their sidelines. I don't think they can pick it up and run with it. I think it's a recovery and the play is dead; like an onside recovery. My question is (for that situation); why in the blue Hell did NIX call for a fair catch, then do NOTHING? I think that's where the confusion was at. I think Nix calling for the fair catch threw off Switz and he thought it means dead ball. The OL was dominant after the first quarter. Todd Haley killing the Browns momentum instead of Pittsburgh's. I mean, there were carving the Steelers defense up on one of those field goal drives. 3-3 with the endzone right there. Thanks for the run, Todd, in a situation where the defense was on its heels. Steelers snuffed it out completely. Antonio Brown doing Antonio Brown things. Know the rules. 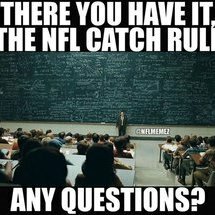 Especially if you are a special teams role player and we're talking about basic special teams rules. Not one Steeler even bothered to turn back to try and correct that. Danny Smith's special teams have made some positive plays this year. I still prioritize my special teams not doing incredibly dumb things at bad moments, though. I'm crazy like that. Danny Smith and/or his unit's are good for a couple of truly retarded moments every year. The endless screens in the first quarter. If the Browns weren't the Browns, the team would have been in another deep hole and I don't think they even tried to throw the ball past the line of scrimmage until like their third series. The screen passes didn't start working until the Browns defense was caving in the second half. Even the TD play before the half - Browns were all over it and that easily could have ended up as six going the other way. The offense wasn't in a position to succeed for the first quarter of the game. Justin Hunter. Honestly, why is Vance McDonald even leaving the field? This is the team that was trotting out Heath Miller's corpse for 99% of the snaps whether it be 3-30 or whatever when they had better WR talent in the 3 and 4 spots, but McDonald is playing under 50% of the snaps overall (yea, it's trending upwards). Do they really need a third WR? old uniforms were nice, but I think the numbers were a bit ou of scale and the nike logo shouldn't; be on there. I like the old uniforms much more. I forgot to mention the nice block AB had on the one play, I don't remember him being a good blocker but if he is adding this to his arsenal, it only helps the team. Another up is I just read that Rooney has given the team the go ahead to trade bell if he signs. giving up on washington already for hunter, makes that high of a pick seem like a waste in a draft that appears to have been mostly a waste. McDonald should stay on the field more and get more passes early in a game to set the tone. Him and connor bring attitude as cowher pointed out. Yep. Thinking it was like a punt. He’s on social media trying to own it (and good for him really) but he shouldn’t have to. That’s all on Nix. He should know in that case to move up and let the fielder make that call. Like many of you mentioned above. to be a successful one. I thought a major up was the way the team pounded the Browns and never let them back in the game. The defense played physical and tough and did not let up. Our front seven needs to play like this every game to give our secondary a chance. 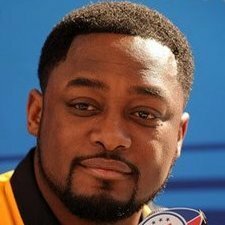 Up: Yet another Browns coach lost his job to the Steelers. Thanks for the assist on Jackson. You guys are real ones.